Muslims have to perform ablution or wudhu before they pray. Ablution requires one to wash their hands, faces, feet and to wipe over their heads in the order taught by the Prophet of Allah, Muhammad (sa). Wudhu just doesn’t purify us for our salah! It provides several benefits for the Muslim! 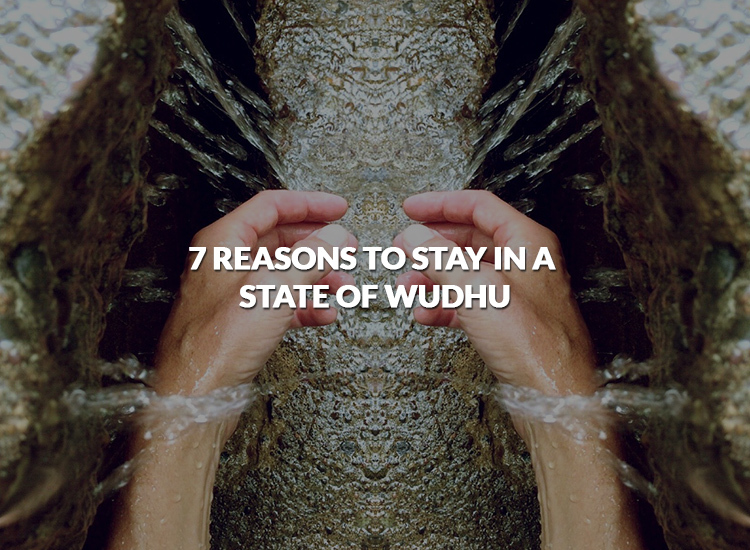 Here are 7 reasons why we must make wudhu in the best way possible and to stay in this state the entire day! Allah says in the Quran, “Truly, Allah loves those who turn unto Him in repentance and loves those who purify themselves (by taking a bath and cleaning and washing thoroughly their private parts, bodies, for their prayers, etc. ).” [2: 222] What more can one want than the love of Allah! Make it your habit to constantly be in a state of wudhu. Remember these ahadeeth and ayah during cold days to motivate yourself to follow this sunnah! Jazakumullah u khair sister for your effort, although there is nothing new or unheard in this article but it’s really refreshing for our eeman. Really appreciated.